After their field visit in KBDF villages during the month of May, Dr. Françoise Mathieu and Manon Haid met Mr. Frank Yih to present him the report about the activities implemented thanks to the donation of HQF done in August 2014. During this meeting, Mr. Yih gave its approval for a new donation of RMB 50.000, matching grant with the amount received during the Rotary Club Shanghai visit on the field beginning of May (RMB 100.000). The money was transferred in September. The main objective of the project is to partially prevent new cases of KBD by contributing to the improvement of the nutritional and sanitary status of the population living in endemic areas of KBD, and more specifically for the children. – To assure a more diverse and richer food intake during the whole year with the set-up of vegetables parcels. – To build greenhouses in order to get vegetables the 12 months of the year. – To create seedbank at the village level to assure the sustainability of the whole programme. 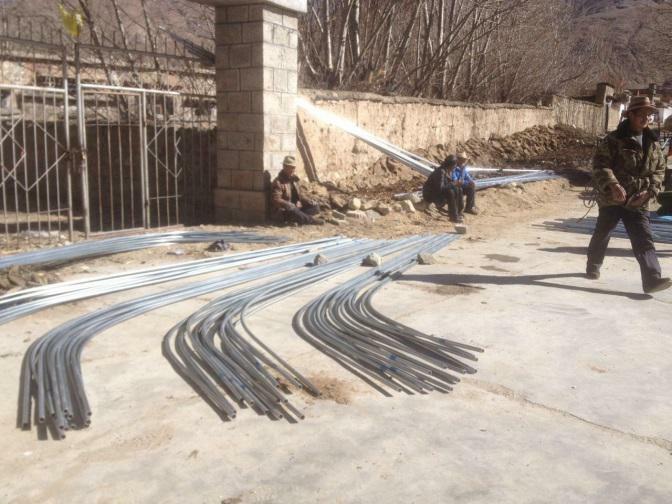 Thanks to the first donation of HQF (RMB 20.652), KBDF was able to fulfil the 3rd of objective with the building of 5 new seedbanks in Pongkang 1, 2, 3, 4 and in Salung, all situated in Nyemo County, Lhasa prefecture. The greenhouses, especially constructed to harvest the seeds, were planted in May 2015 during the visit of Dr. Fran?oise Mathieu and Manon Haid. The plantation was done a bit later than the previous years as the seeds come from Belgium and the visit of Dr. Mathieu was cancelled in January. After the collection, the responsible of the seedbank has to dry the seeds. The next step is the weighing and the recording of the dried seeds. Then, they are placed in pots and stored away from the light. Last November, the field team went to visit the seedbanks supported by HQF. The results were really positive in 4 seedbanks (Pongkang 1, 2, 3 and Salung), but in the last one (Pongkang 4), the owner put pesticide to kill the insects. 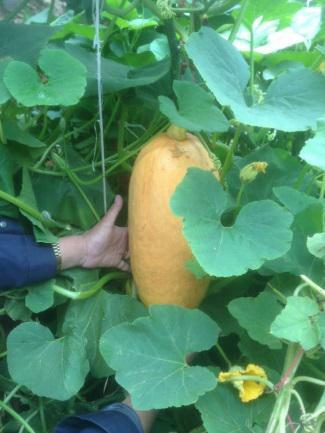 Then, no vegetable have grown in this seedbank… The field team was surprised as the owner is an experienced woman in agricultural area. However, the field assistants explained to her that we do not work with chemical product and we try to grow vegetable in the most natural and organic way. They also explained that if she has any problem, like insects for example, she can always count on them to try to find an appropriate solution, respecting KBDF’s way of working. 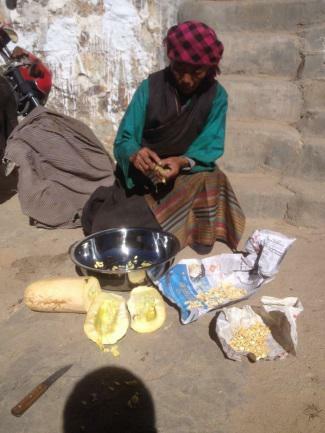 She understood and promised not to use pesticide anymore. In September,a new donation of RMB 50.000 from HQF was done. This money was used to build 19 greenhouses in Pongkang 1, 2, 3, 4.. Indeed, during the meeting between Dr. Françoise Mathieu and Mr. Frank Yih in June 2015, it was decided that, instead of helping another village, KBDF will reinforce the work done with the seedbanks in Pongkang villages, thanks to the construction of familial greenhouses. It’s a good way to continue the commitment of HQF toward Pongkang population. 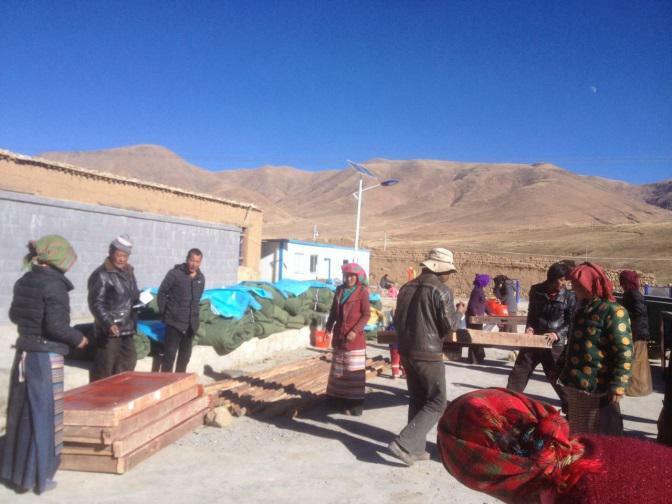 In this way, the material was distributed end of October and villagers started to build the greenhouses right after. Greenhouses construction is a very important part of the Food Diversification Programme to improve and to diversify the food sources in villages thanks to the production of fresh vegetable all year long. Since the beginning of this programme, the working way stays the same: KBDF provides the technical skills on designing and constructing the greenhouse. Afterwards, KBDF distributes materials (cement, metal tubes, plastic films, outside covers, wooden doors, pipeline and sprayer) (Fig 7-8) and villagers provide free labour and help each?other?to?build?the?greenhouses. Through this way of working, in one hand it empowers villagers’ participation in the programme; in another hand it enhances the villagers’ ownership of the programme and strengthens the programme sustainability from the beginning stage. 1) Standard size has been drawn: 30 m2 per greenhouse with a high of 2m10 to assure good gardening conditions. 2) Locally available construction material is used: metal and wooden bars and pillars for the frame and structure; stone and mud for the foundations and walls. 3) Adequate isolation is ensured by 40cm thick adobe walls and specific plastic and blanket windproof roof covers. The choice of plastic is a key issue because, ideally, it should last forever, should be not be degraded under the influence of heat and light, should optimize light transmittance to promote photosynthesis, minimize temperature and climatic fluctuations and limit high ultraviolet exposure. 4) Air circulation is preserved through the creation of large windows (30cmX30cm for a 6m long wall). 5) Water irrigation is made possible through the installation of up to 50 meter long pipes and the distribution of water sprayers. 6) Organic fertilizers are distributed and their safe preparation ensured by the use of buckets. To build one greenhouse, 3 weeks are necessary. In every village, the first greenhouse is built directly with the help of the 2 KBDF field assistant and the village leader. To improve the skills of villagers on greenhouse management, KBDF team also distributes in each family a poster explaining the way to plant and to harvest vegetable, as well as how to manage the greenhouse. A new distribution of seeds will be organized after Losar, end of February 2016. After, the family will start to plant plots. 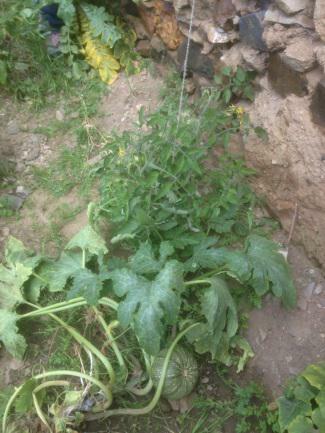 Usually, after 3 weeks, the family can already eat 2 kinds of cabbages. 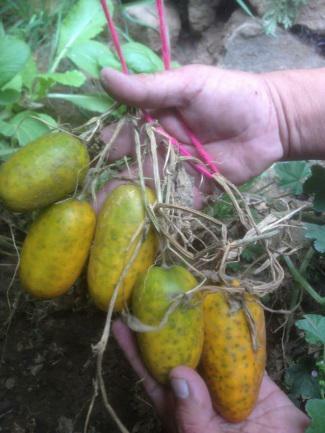 Two to 3 months later, they can start to collect other vegetables. A greenhouse can supply a family between 6 and 8 people. 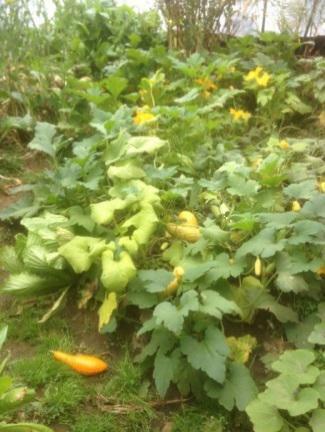 Thanks to the last donation of HQF, 19 families will have the chance to produce fresh vegetable all year long. The timing scheduled for the construction of the 19 new greenhouses in Pongkang villages was respected. A new report will be written around end of May 2016, once the seedbanks and the greenhouses constructed thanks to the support of HQF will be planted. Dr. Fran?oise Mathieu plant to go for a field visit in May and will pay a visit to HQF members in order to bring the new report.